If Oklahoma native Ken Carter does well enough at this week's B.A.S.S. 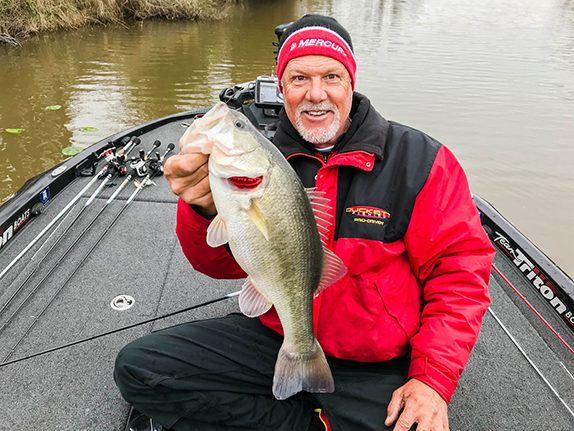 Nation Championship on Alabama�s Pickwick Lake, he�ll earn the right to compete in the 2019 Bassmaster Classic at the age of 80, making him the oldest angler ever to compete in bass fishing�s biggest event by a wide margin. �I tell people I�m three days older than dirt,� laughed the always-joyful Carter during a hot August fishing trip to Lake Keystone, a few minutes west of his longtime sponsor Zebco�s headquarters. Carter�s qualification for the B.A.S.S. Nation Championship sort of started 70 years ago amid a fateful walk home from school. The dates of Carter�s recollection match up well, because in 1947 a West Texas watchmaker named R.D. Hull got an idea to build a new fishing reel after watching a meat counter clerk pull string from a fixed spool. Hull took his idea to Zero Hour Bomb Company in Tulsa, where the world�s first Zebco prototype spincast reel was eventually built, and by 1949, the first new tangle-free reel rolled off their production line. A few short years later, Carter�s life continued on its fateful path when his mom may or may not have fudged his true age in order for him to join the Navy long before he was scheduled to graduate high school. Carter served the country for a total of six years, but an accident on the very dangerous top deck of an aircraft carrier resulted in three back surgeries, two years in a California Naval hospital � and eventually, most of his life in a wheelchair. Bitterness and self-pity would have been understandable, but in the most admirable fashion, Carter instead chose to carve out a life focused on the one thing that brought him the most joy � bass fishing. �You see, on land, sometimes there are obstacles that put me at a disadvantage in a wheelchair, but on the water I feel like I�m equal in ability to everybody else,� he said. 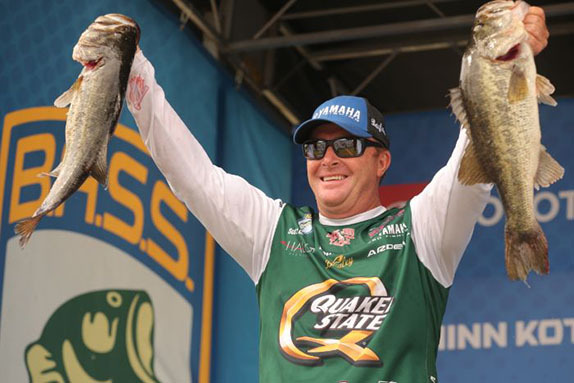 Equipped with such an admirable perspective, Carter has utilized his positive convictions as the primary ingredient to a highly admirable tournament career highlighted by being a 4-time Paralyzed Veterans of America Angler of the Year, including this year, which earned him the chance to compete in the B.A.S.S Nation Championship. Carter was married for 56 years, and took an eight-year hiatus from fishing in a true demonstration of love, compassion, and dedication to care for his wife, who battled Alzheimer�s before passing a couple of years ago. �We fish from Florida to Illinois and a lot of places in between, but I�d have to choose the Potomac River in our nation�s capital as my favorite. 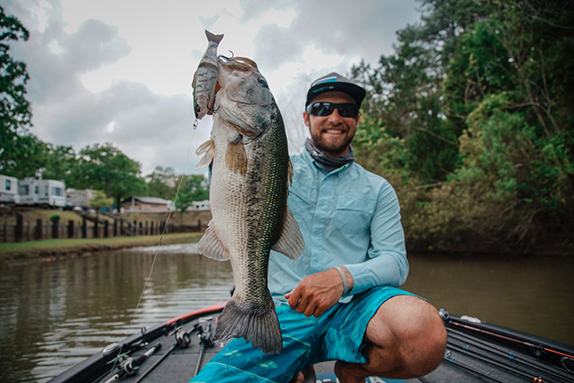 With all the aquatic vegetation there, it�s a �bass factory� and they love to eat a Strike King Ocho or a topwater frog,� says Carter. While Carter is especially fond of Quantum�s super-smooth Smoke S3 PT baitcasting reel, he actually casts his Ochos with spinning tackle, using a Smoke size 25 spinning reel, and purposely moving the rod tip more than most anglers do with a soft stickbait to instigate reaction strikes. Speaking of soft plastic lures, he melted two plastic worms together to form a 12� worm that led to the biggest bass of his life � a 15-01 beast he caught in Cuba. �Back in those days, nobody made really big soft plastic worms like they do today, so we melted two worms together anytime we were fishing around really big bass,� grinned Carter. 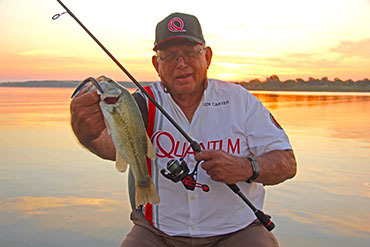 An annual fixture in the Zebco-Quantum show booth at the Bassmaster Classic Consumer Expo for the past 20 years, Carter is the friendly face always willing to share his 60-plus years of angling wisdom with fishing fans and consumers. But this year, there�s a bunch of folks hoping he�ll be too busy to work the Expo at the Classic � cheering instead for the chance Carter might actually be a bit too occupied as the oldest angler to ever compete in the event � from a wheelchair, no less, with a grin wider than a 12-inch plastic worm and an attitude as proud and optimistic as R.D. Hull himself when he stopped a young kid walking home from school to show off a new tangle-free fishing reel he was working on.